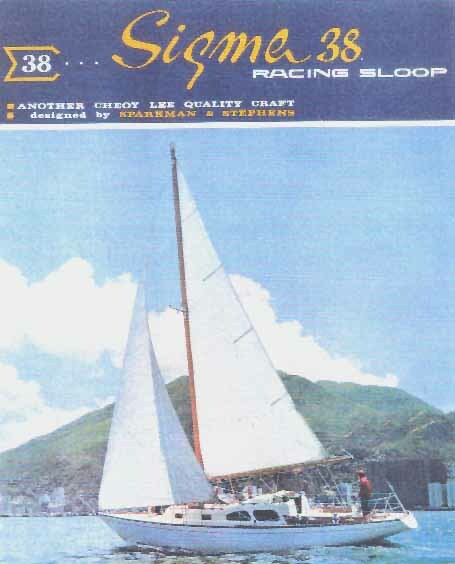 Pics from original brochure etc. 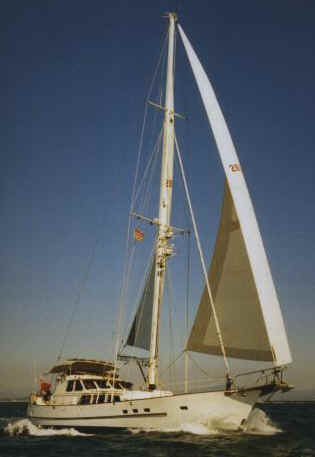 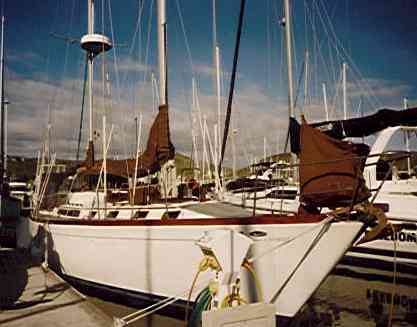 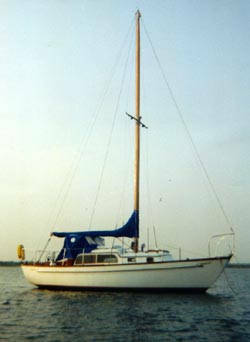 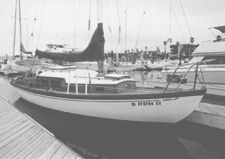 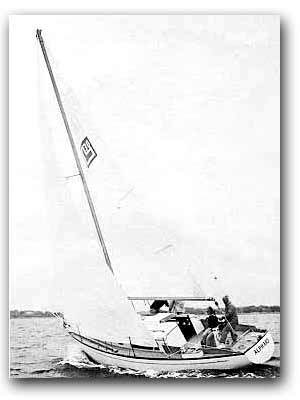 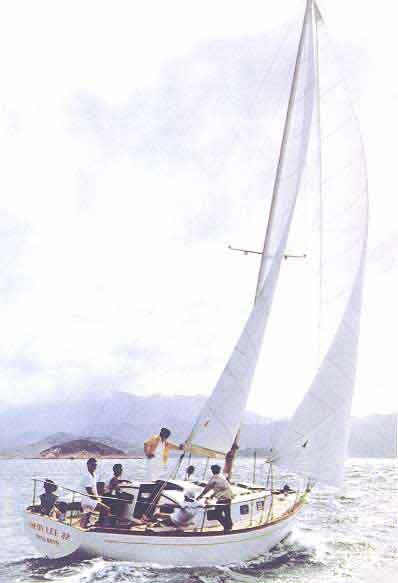 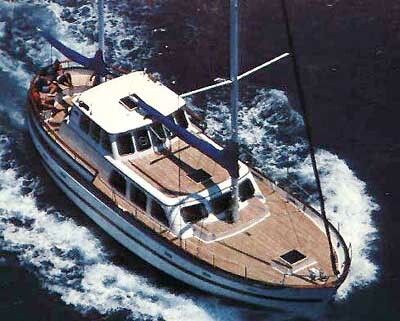 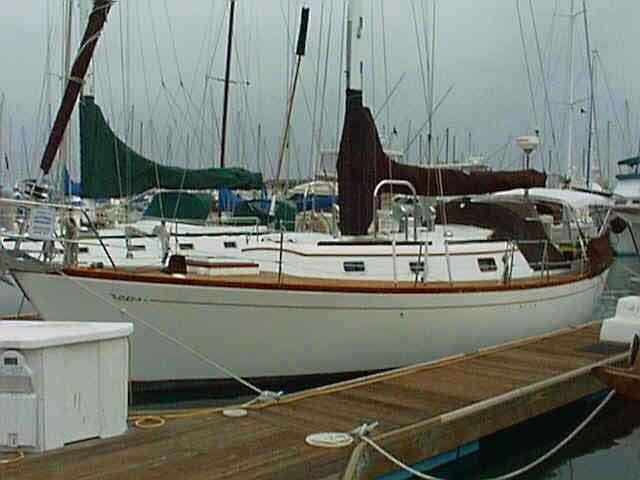 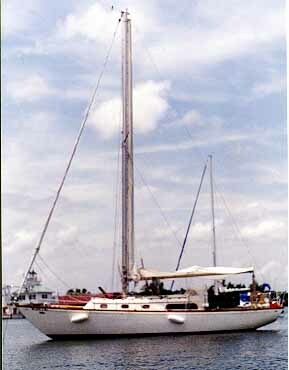 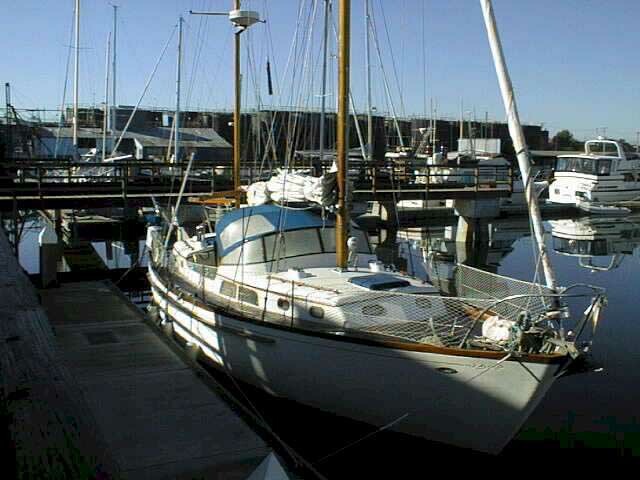 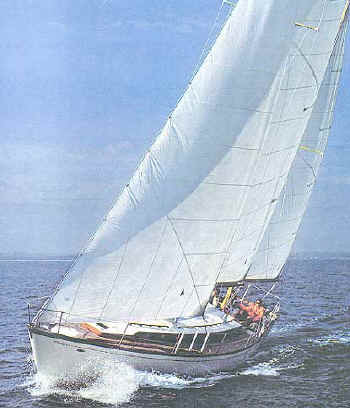 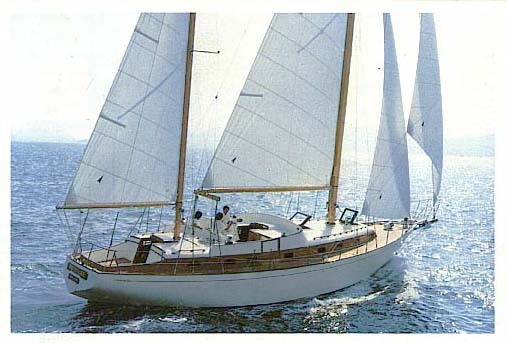 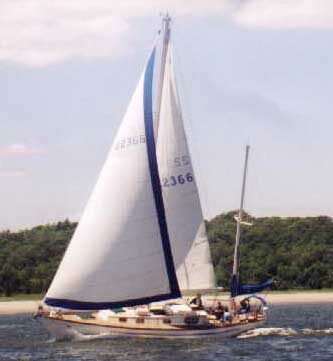 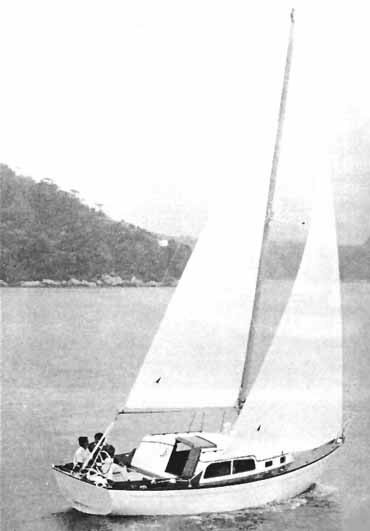 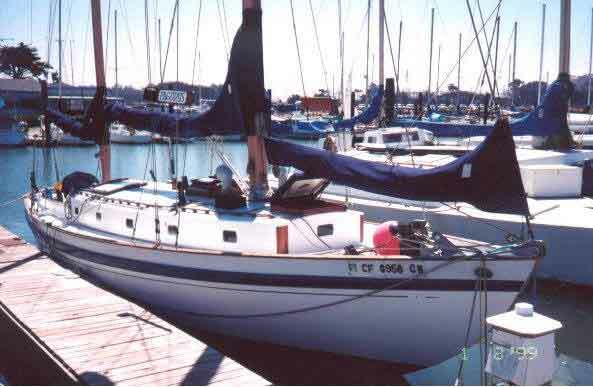 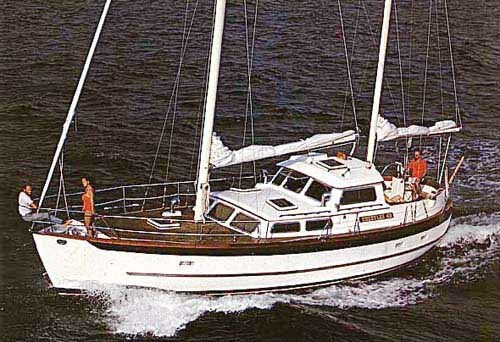 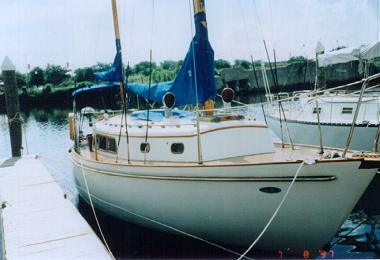 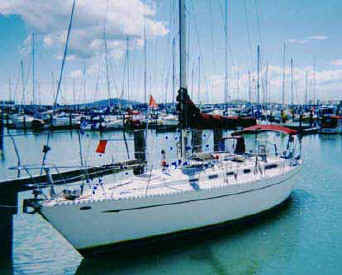 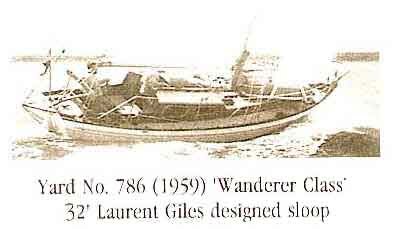 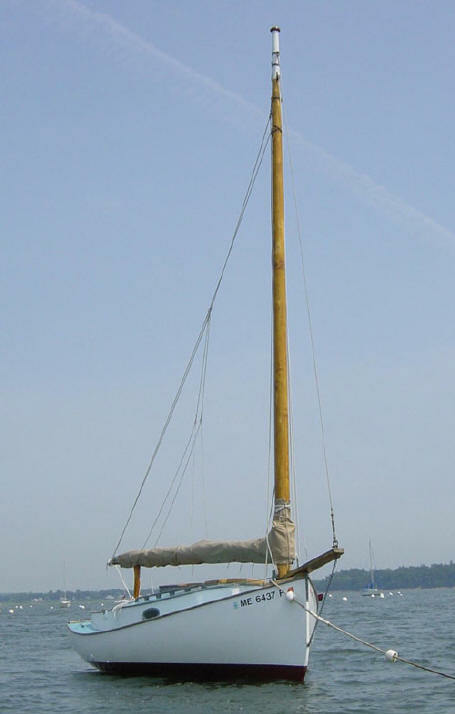 Above photo is a Luders 37 and is also called a Cruisemaster 37. 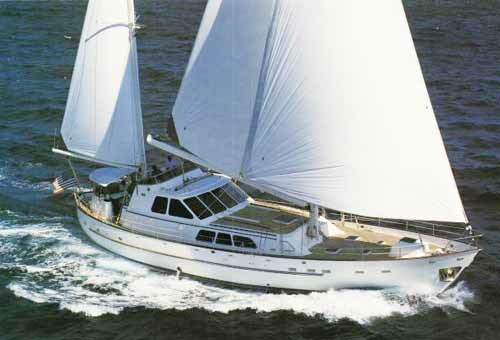 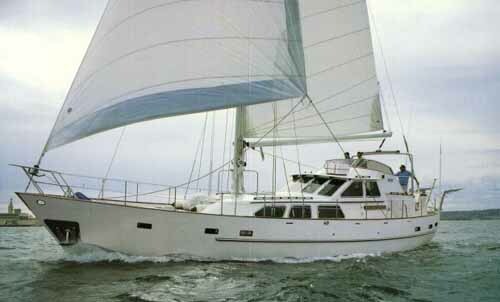 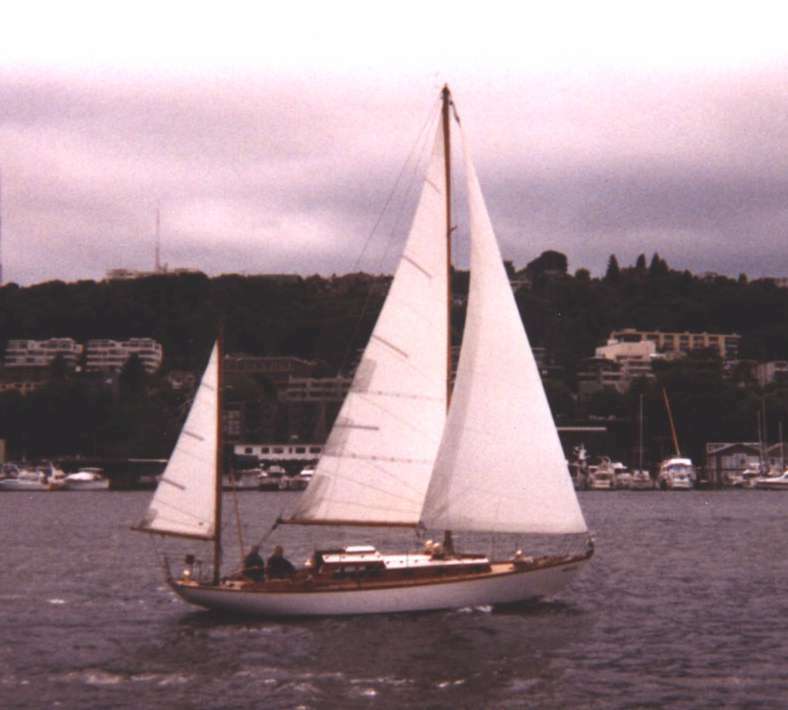 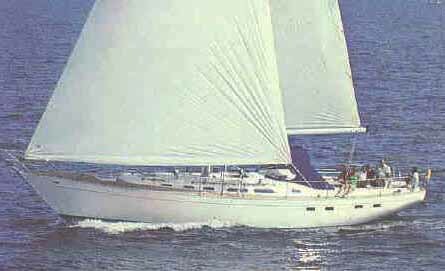 David Toombs emailed the association to say that the Cruisemaster 37 is a Luders design, but not a Cheoy Lee. 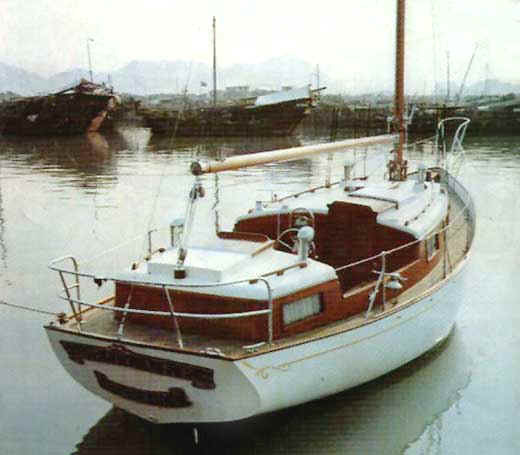 David had the project done By David Cheng in Hong Kong and believes 12 were built. 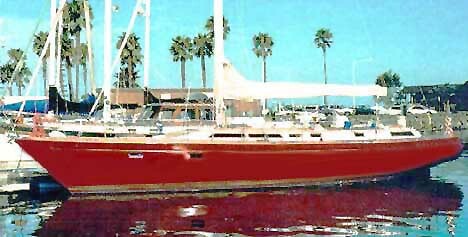 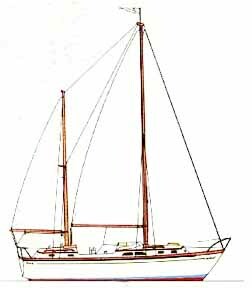 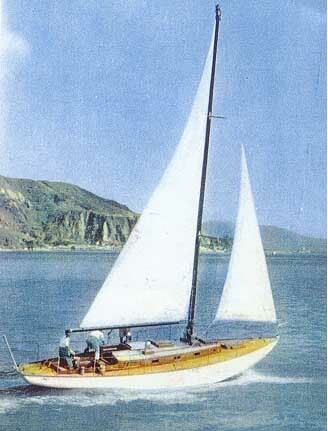 Original name of design "Newell Cadet" information supplied by Robert Chave aboard "FireFly" from San Pedro Calif. area. 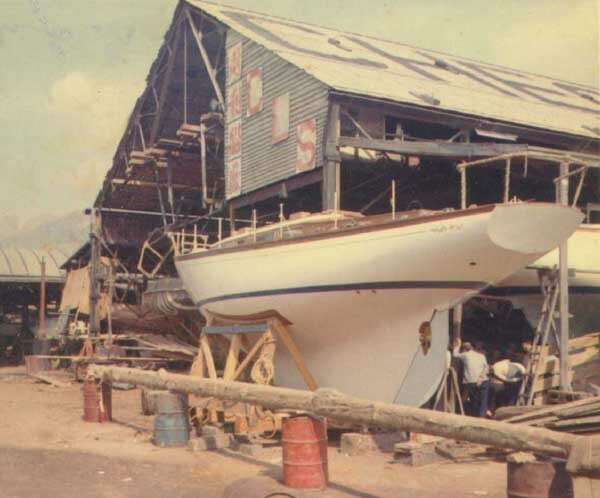 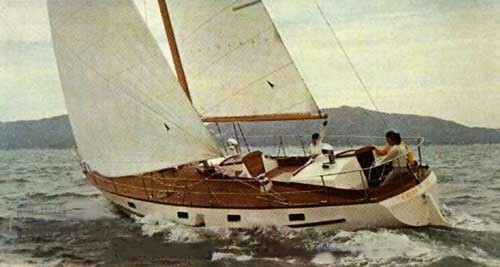 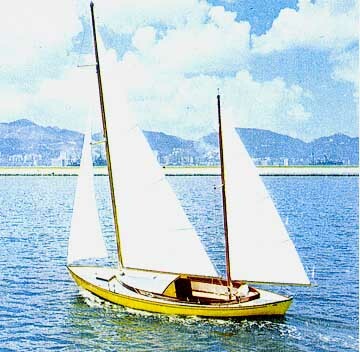 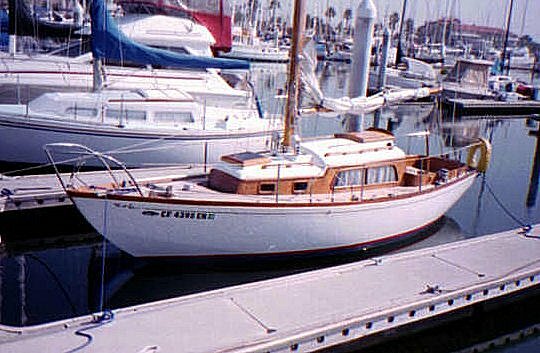 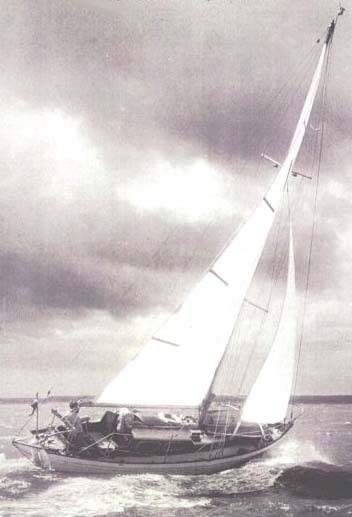 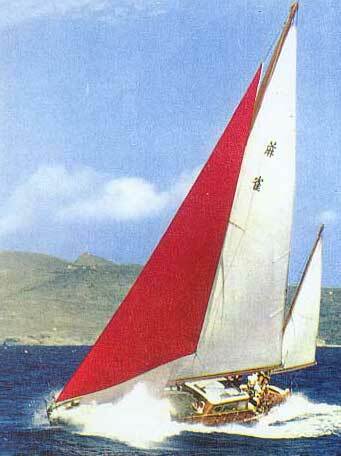 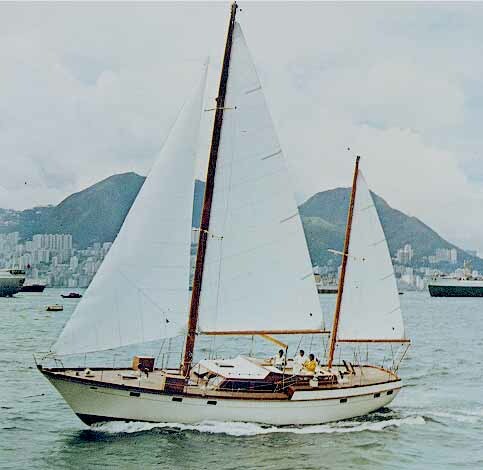 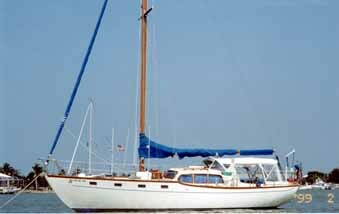 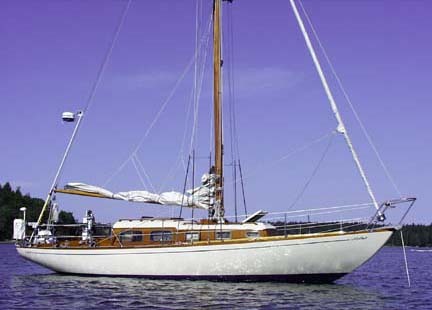 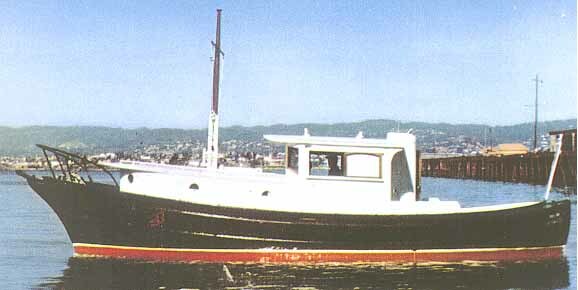 Production started in 1955, designed by Arthur Robb, over 100 built in teak, Yard No. 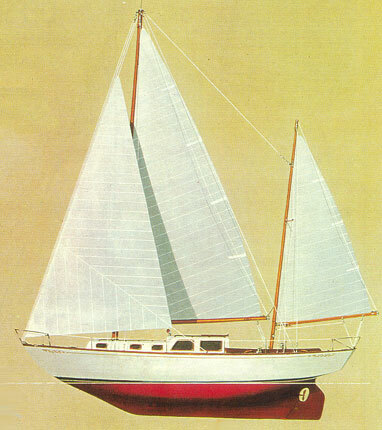 657 according to brochure. 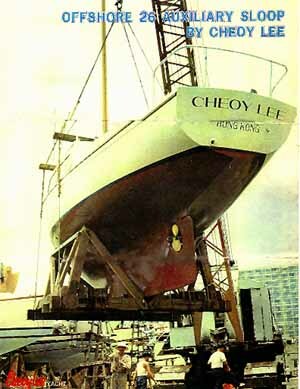 The following are models of Cheoy Lees that I have the original brochures or at least some information has been sent to us. 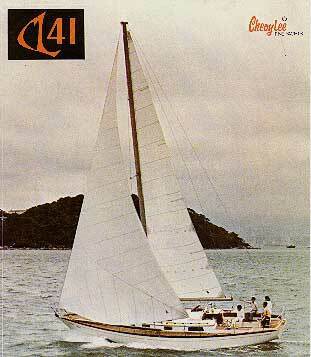 I do not know if these models were stock designs or not since the brochures do not list a designers name. 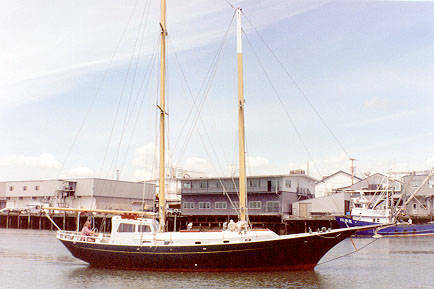 scanned from small 1x2 inch images. 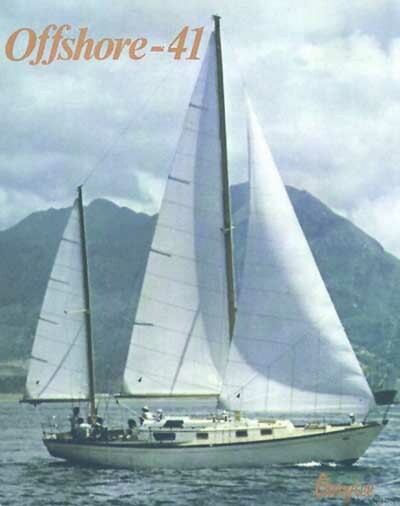 We now have the brochure thanks to Alessandro Treleani aboard "Sweet Sea"